If you are looking to grab a craft kit, book, movie, or baking kit for easy entertainment for the kids, I grabbed some of my favorites and put them into one spot for you. Having fun with your people on special days is most important! As parents, we should be spending the year showing our children we love them on a daily basis. But Valentine’s Day is a great reason to do something extra special to ensure they feel loved and special. 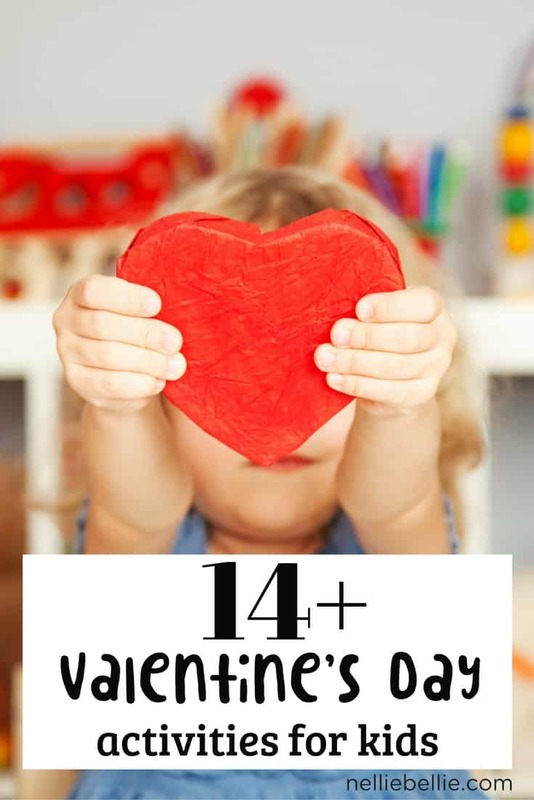 Here are 14 Valentine’s Day activities that will help you show your children your love this Valentine’s Day, in a fun and creative way. “We are a participant in the Amazon Services LLC Associates Program, an affiliate advertising program designed to provide a means for us to earn fees by linking to Amazon.com and affiliated sites.” Read my full disclosure policy HERE. 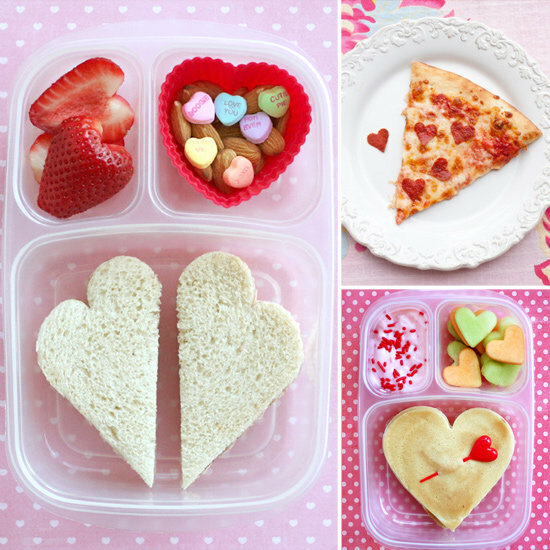 Packing your child a special lunch for Valentine’s Day complete with heart shaped sandwiches, fruit, or goodies will make their Valentine’s Day memorable! I’m all about using heart shaped cookie cutters for sandwiches, cheese, fruit…or cookies, of course :). A paper bag book can hold special messages and pictures. 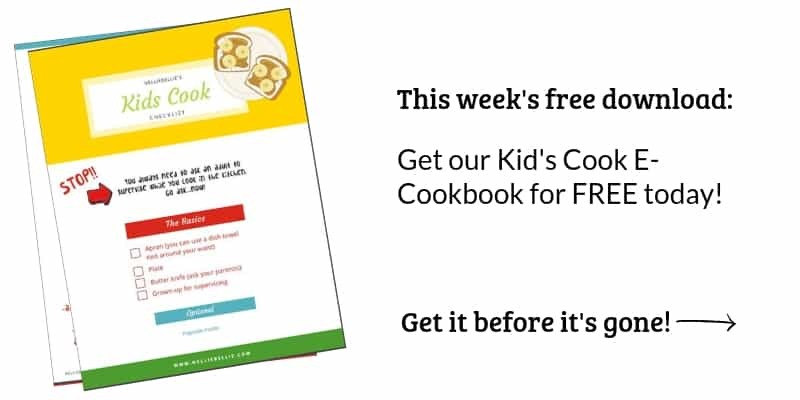 A great activity to make with your child. If you don’t want to take an afternoon working on this project I’m adoring this personalized Valentine’s Day coloring book for kids. They would love it! Start Valentine’s Day off with a special breakfast! 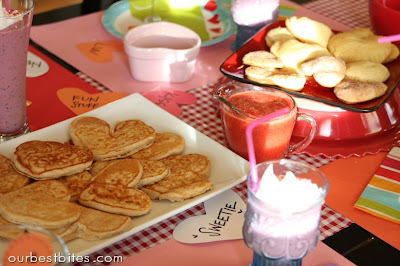 Heart shaped pancakes and berry smoothies could be party of the “love feast”. Could these heart shaped pancake molds be any cuter? Nope. Wouldn’t it be a treat to wake up on Valentine’s Day to a floor full of red, white, and pink balloons? 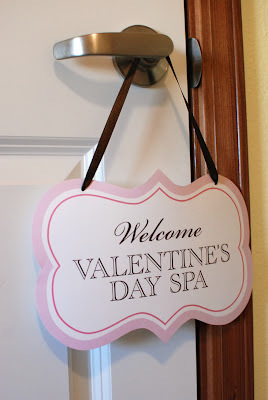 What girl wouldn’t want a Valentine’s Day Spa? A great way to make her feel special! Grab a fun kit to gift earlier in the day. Then your daughter will be able to set up the spa all by herself. For the younger kids… create a Valentine’s Day sensory bin for all day fun! 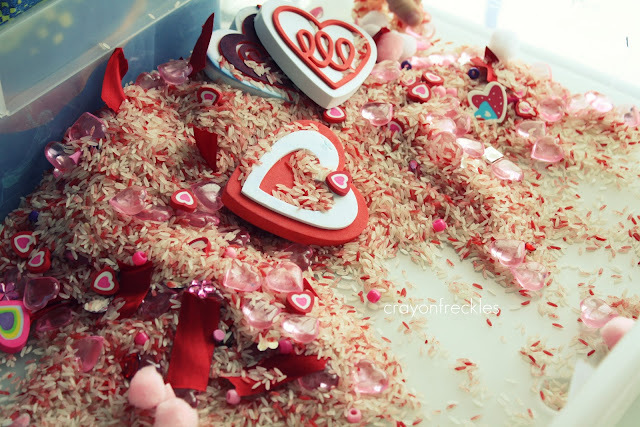 Fill a bin with rice, Valentine confetti, cotton, and any small trinkets you can find. Why not create and decorate felt cookies with your little girl (or guy)? And then, of course, host a tea party! 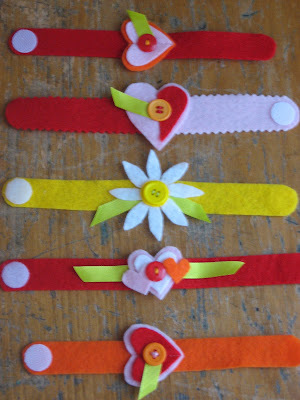 These bracelets would be fun to make AND wear on Valentine’s Day! OF course, the good ol’ friendship bracelets are a classic that every child needs to learn :). 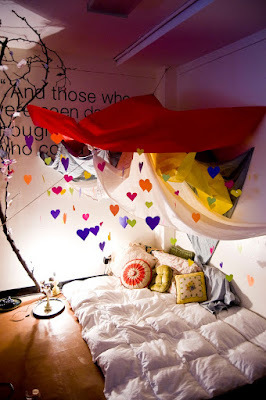 A Valentine’s Day fort? Why yes…who wouldn’t want one? Can I be honest and say that I totally want a blanket fort kit for myself! I adore this little kit. Super cute! How about a game of find the hearts? Hide heart stickers around the house in easy (or hard, for older kids) to see locations and give rewards based on how many are found. 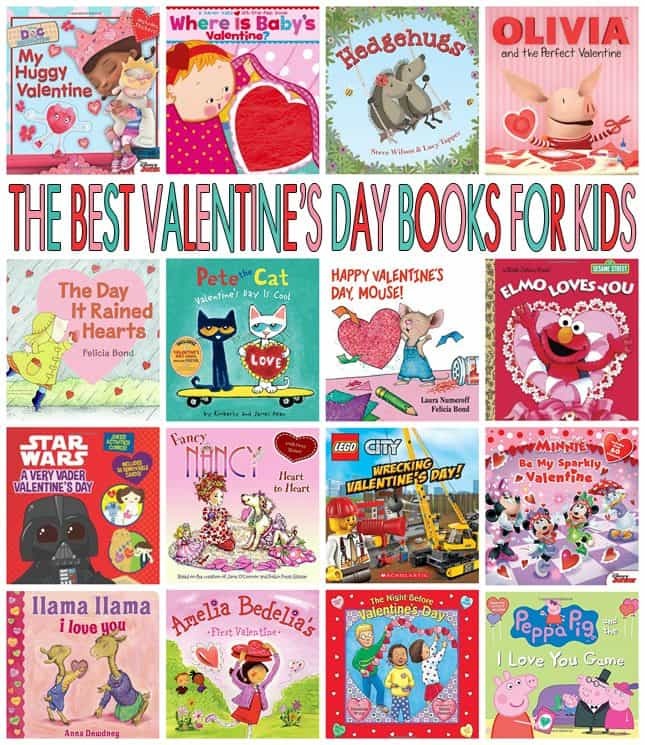 Or one of these great Valentine’s Day books for kids? This one is freaking adorable! 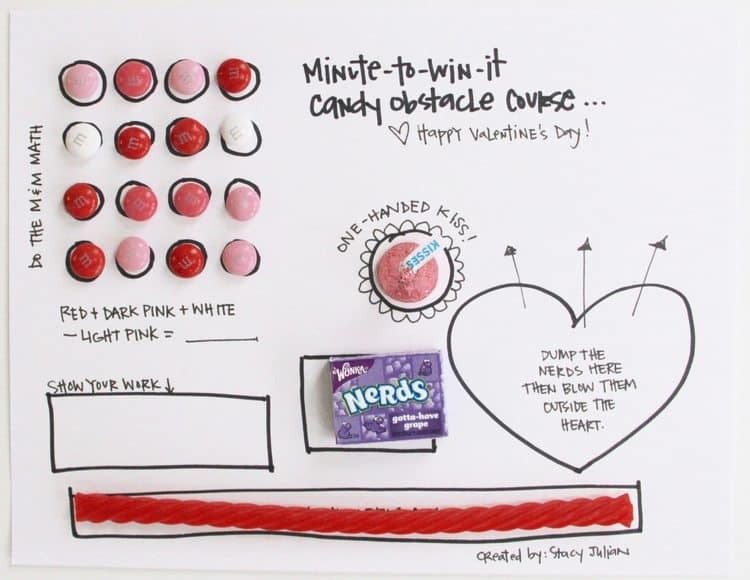 Or this fun Minute to Win It game: valentine version. Or, pick up a set of Valentine’s Day bingo. Keep this Valentine’s Day about time and fun with your kids…not candy and sweets. Set aside time to play and laugh with your people. That, after all, is how love is truly shown.